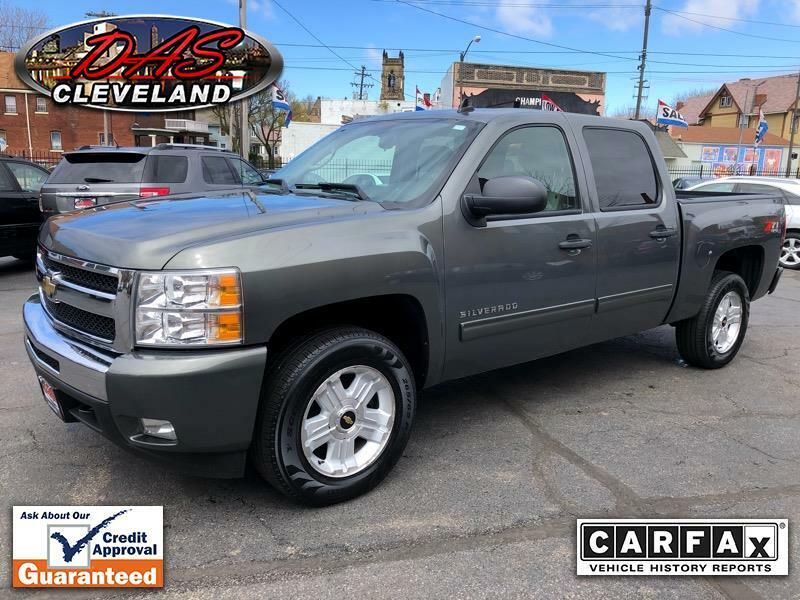 2 Owner** Perfect Carfax** Z-71** Crew Cab** 4x4** LT** WARRANTY - See Live Video! Always additional photos & Open 24/7 @ dascleveland.com Platinum Member for the GUARANTEED APPROVAL PROGRAM, FINANCING available for every credit situation - BAD CREDIT, NO CREDIT, BANKRUPTCIES and FIRST TIME BUYERS! We accept all trade ins and offer on the spot financing. Extended Services Contracts are also available & 3RD Party Inspections are welcome and encouraged, Take advantage of our complimentary Valet service from the Airport or Bus Terminal. Office Hours: Monday & Thursday 10am - 7pm Tuesday, Wednesday & Friday 10am - 6pm Saturday 10am - 4pm Diversified Auto Sales is located @ 5333 Lorain Ave Cleveland, Ohio 44102. Disclaimer: Information deemed reliable, but not guaranteed. Interested parties should confirm all data before relying on it to make a purchase decision. All prices and specifications are subject to change without notice. Prices may not include additional fees such as government fees and taxes, title and registration fees, finance charges, dealer document preparation fees, processing fees, and emission testing and compliance charges. Internet special price may not be compatible with dealer sponsored or subsidized subprime financing. Guaranteed Credit Approval program is limited to Ohio, Michigan and Pennsylvania residents. Primary finance program covers the continental 48 states. All prices subject to change without notice. We Use Cars.com for all pricing. It is unit,VIN and trim specific. Please click the link bellow to see our ultra competitive price evaluation!